Express shuttle Miami offer Fort Lauderdale airport shuttle to almost every part of South Florida, private service as well as shared rides. Passengers at Ft Lauderdale Airport, in order to provide you a better service please give us two phone calls; first when you land and second when you get your luggage. Pick ups are at each terminal on the curbside outside middle exit (door) because the beginning of the terminal is for taxis’ pick ups and the end is for hotels pickups. Shared ride shuttles from Ft Lauderdale Airport are just during the cruise days (usually from Friday to Monday) and between 8:00 AM-1:30 PM, this service is just for a minimum of 2 passengers. Shuttles out of schedule will have different prices. Private Transportation from Ft Lauderdale Airport, hotels, and residences is exclusive van service for passengers in a same group or family. This service does not shared ride with unrelated passengers. This Ft Lauderdale private transportation service is 24/7 a week and is to Port of Miami, Miami Downtown Hotels, South Beach Hotels, Miami residences or any Miami Dade destinations. The ride from Ft Lauderdale to Miami is around 45 minutes. Take in consideration more time for rush traffic. Transfers and shuttles from Ft Lauderdale Airport to Port of Miami stop at each cruise lines: Royal Caribbean, Carnival and Norwegian Cruise Lines. 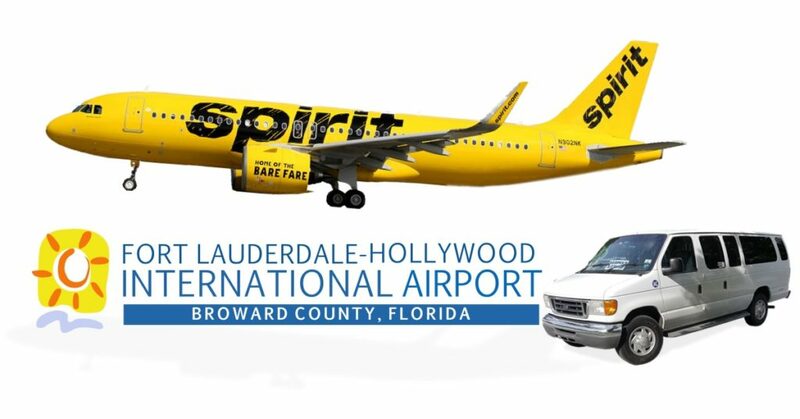 Ft Lauderdale Airport shuttles to our preferred Miami Downtown Hotels: Hilton, Marriott Biscayne Bay, Doubletree Hotel, Holiday Inn Bayside, Continental Hotel, Intercontinental Shopping Plaza, Courtyard by Marriott, Hyatt Regency, Epic Hotel is $20 per person. Fares for FLL-Miami shuttles to hotels others than the preferred may be different. Pick ups from residences and hotels by Ft Lauderdale Airport going to Port of Miami cost around the same as the FLL Airport – Port of Miami shuttles.